Vendio is proud to once again be named one of Inc. magazine’s Top 5,000 fastest growing private companies in America. 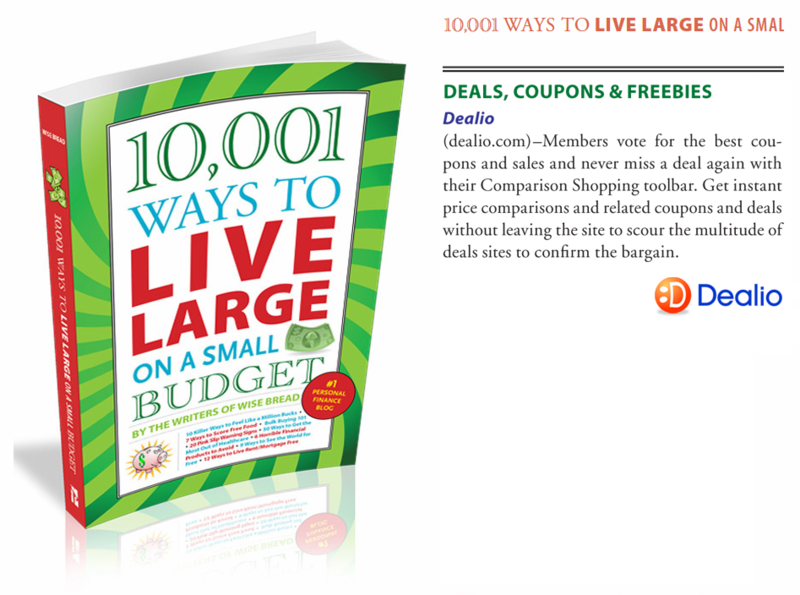 The contributors to Wise Bread , a community of bloggers who help you live large on a small budget, have written a book called, "10,001 Ways to Live Large on Small Budget". Dealio is featured in their "Best in Deals & Coupons" section. Each year, U.S. News chooses 30 sites that offer innovative features that makes going online a more valuable and enjoyable experience. In 2006, the Dealio Toolbar took top honors in the comparison shopping category with editor Kenneth Terrell commenting, "Now we can use cutting-edge comparison engines like Dealio.com to search all over the Internet to find the best price for an item without ever having to leave our favorite retailer's website." Softpedia guarantees that Dealio Comparison Shopping Toolbar 1.4.1 is 100% CLEAN, which means it does not contain any form of malware, including but not limited to: spyware, viruses, trojans and backdoors. This software product was tested thoroughly and was found absolutely clean, therefore it can be installed with no concern by any computer user. Dealio receives the highest rating possible from the Finaldownload.com staff, which is given to applications that meet the highest standards for both quality and consumer utility. SoftF5.com awards Dealio their most prestigious award for outstanding software. In order to receive this award, the SoftF5 staff reviews the application and rates it on specific criteria. Those applications that meet or exceed the criteria are awarded five stars.